An elegant Arts and Crafts bow fronted fire basket, with a delicate pierced brass apron of floral motifs. 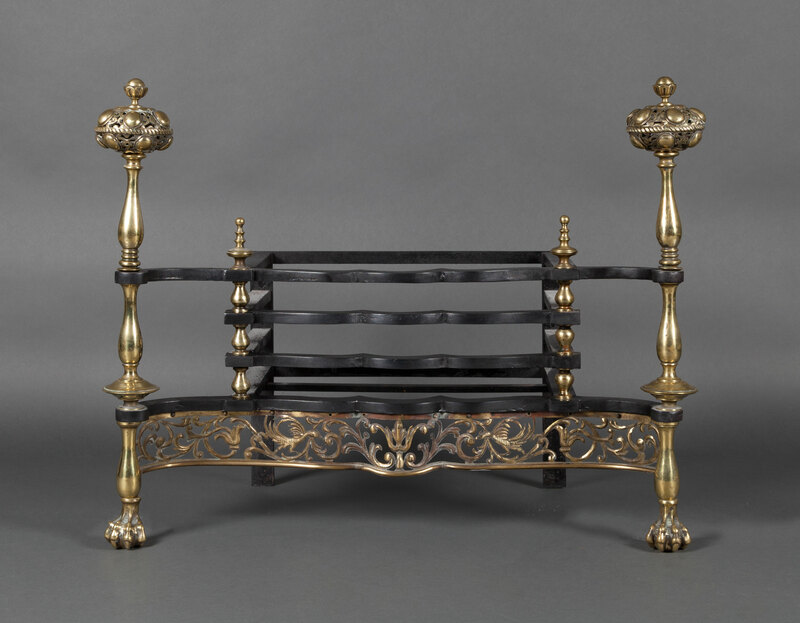 The tall pair of slender andirons with ball and claw feet, capped with stylised oval finials. An attractive and rare model.